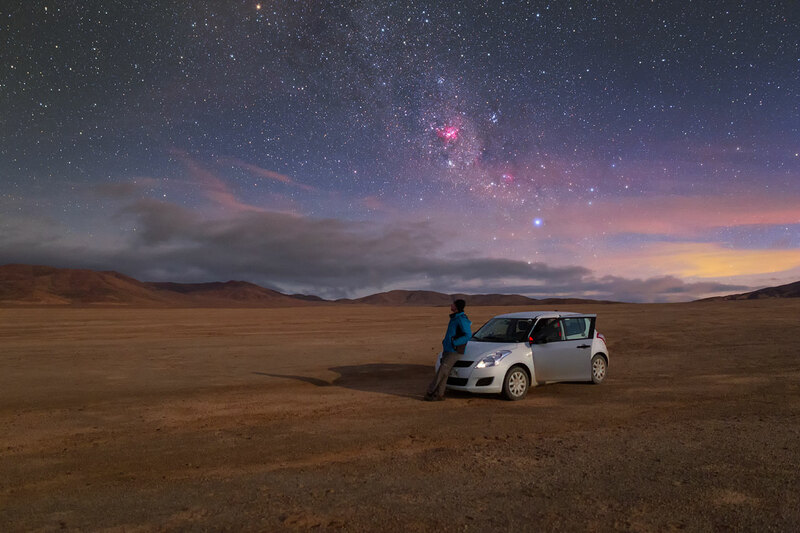 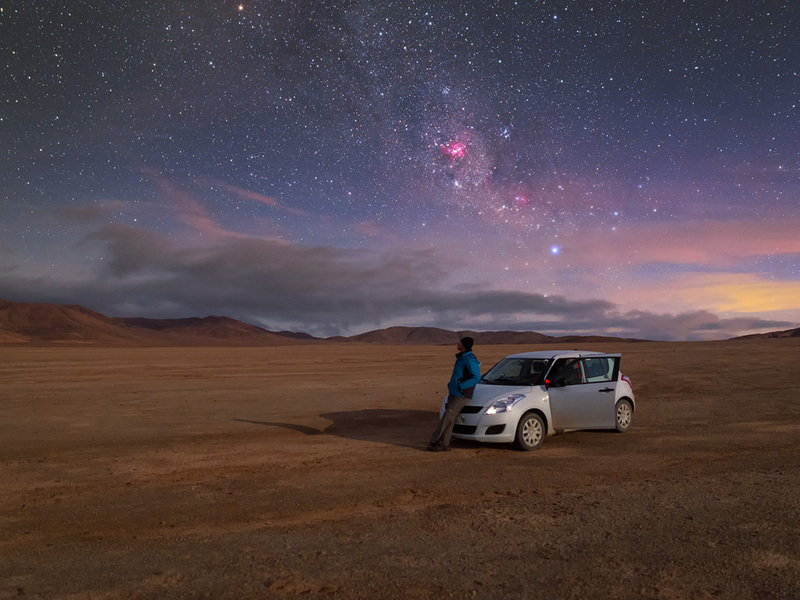 Taking a break from a lonely drive through the Atacama to enjoy the peaceful clear night sky. 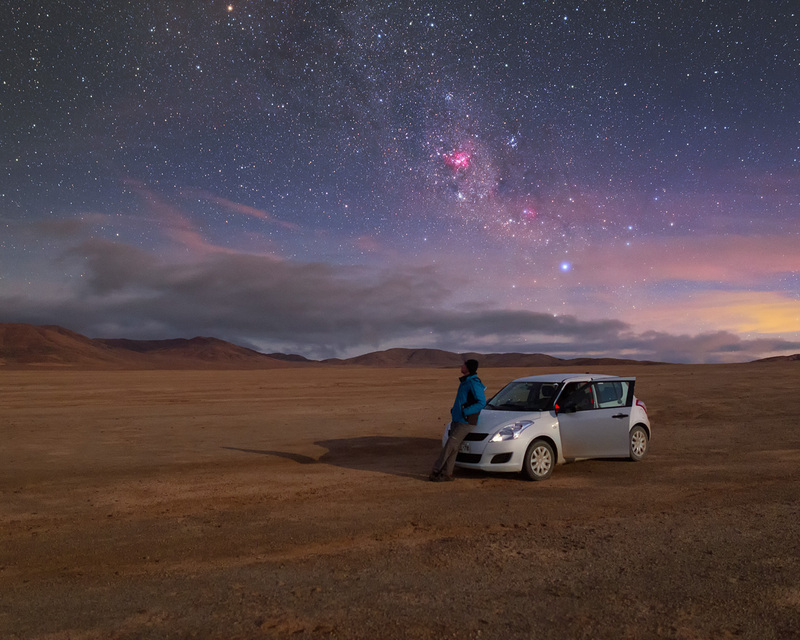 Pink star-forming regions can be seen dotted around here and there. 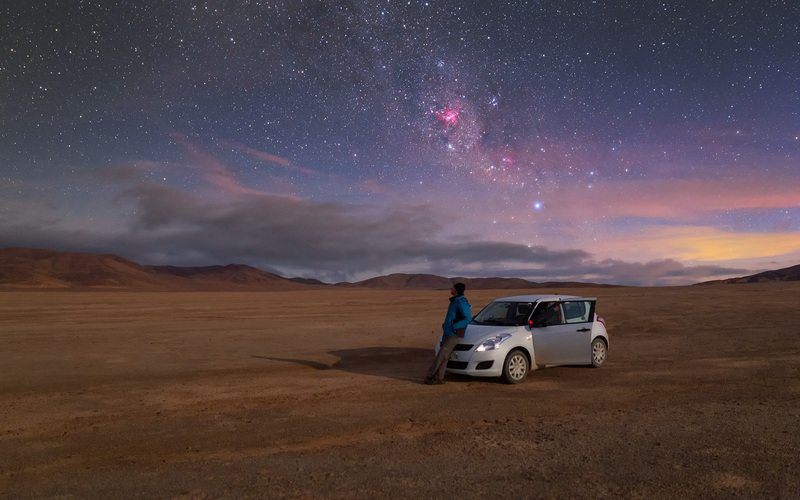 The most prominent one near the centre of the image is the Carina Nebula.